Precision machined from a solid piece of tough 7075 billet aluminum alloy. 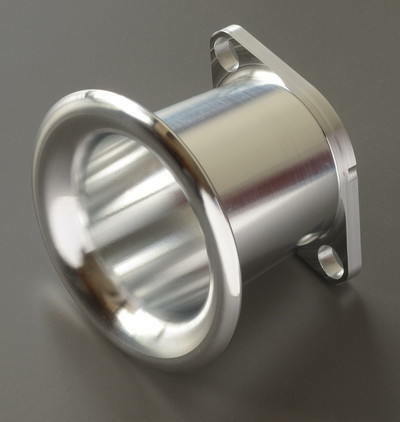 This 60mm long velocity stack will fit 35MM - 41MM KEIHIN FCR and FCR-MX models. Designed for specifically for use on Yamaha SR, XT, and TT singles. The additional length enhances engine torque.